We are pleased to announce the MassCUE and M.A.S.S. 2015 Annual Technology Conference, co-sponsored by the Massachusetts Computer Using Educators (MassCUE) and the Massachusetts Association of School Superintendents (M.A.S.S.). Both organizations recognize the benefits of a collaborative partnership that focuses on the collective interests of our school districts. We will be providing educators from across the Commonwealth with exciting ways to enhance teaching and learning with technology. This year we will be offering a preconference with choice of three full-day workskhops. Catlin Tucker is a Google Certified Teacher and CUE Lead Learner. She teaches at Windsor High School in Sonoma County, where she was named Teacher of the Year in 2010. She has taught online college level writing courses, which led to her interest in blended learning. Corwin published her first book Blended Learning for Grades 4-12 in June 2012, and she authored a blended learning course for ASCD. She co-authored a book titled Creating a Google Apps Classroom, which was published in June 2014. Catlin’s second solo book Creatively Teach the Common Core Literacy Standards with Technology will be published by Corwin in June 2015. Catlin is an experienced speaker, professional development facilitator and trainer, education consultant, and curriculum designer. 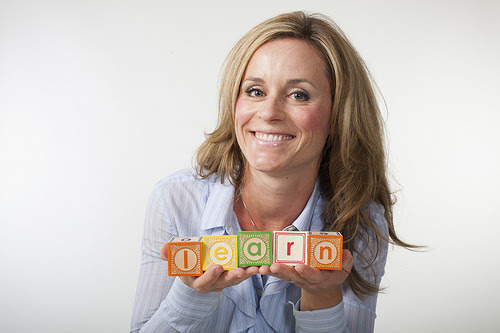 She writes an internationally ranked education technology blog at CatlinTucker.com and is active on Twitter @Catlin_Tucker. We are teaching in an era of unprecedented change. Technology is radically redefining the way we communicate, create, and learn. This can be incredibly scary or incredibly exciting depending on your perspective. Join educator and author Catlin Tucker as she describes how the Common Core Standards open the door for new and innovative approaches to teaching and learning. Teachers who embrace change and learn to leverage the power of technology have the opportunity to make learning more relevant, engaging, and student-centered. Catlin will share photos and student work to demonstrate practical ideas for addressing the Common Core Standards using technology. Walk away feeling energized about this shift and eager to explore how you can use technology to place students at the center of learning and effectively transition to the Common Core. Additional program information can be found at the MassCUE/M.A.S.S. 2015 Technology Conference overview page.